Hamartia is the tragic flaw or error that reverses a protagonist’s fortune from good to bad. Hamartia, pronounced hah-mahr-tee–uh, is derived from the Greek phrase hamartanein meaning “to err” or “to miss the mark.” Hamartia includes character flaws such as excessive ambition, greed, or pride which result in tragic consequences. Gregory is extremely driven and will not give up for anything. While training for football season, he twists his ankle. His doctor advises him to take at least two weeks off from training, but he refuses to and continues to train despite the injury. At the first game, he falls again and breaks his ankle. He is unable to play for the entire season due to this injury. In this example, Gregory’s hamartia, or tragic flaw, is his excessive drive. Because of his drive, he ignores an injury and that injury worsens so much so, that he destroys his career for that season. Madison is very full of herself, so much so she is constantly criticizing her friends. Slowly, her attitude becomes too much for her friends to deal with. Once the head of a full lunch table, Madison now eats lunch alone. Madison’s hamartia is her ego. Because she is so full of herself, she pushes all of her friends away, until she is left with no one but herself for a friend. Evan is doing alright in his geography class, but he has begun to fall behind. His teacher and parents advise him to begin studying more seriously. Lazy and uninterested, he ignores their warnings. At the end of the year, Evan fails the class. Evan’s hamartia is his laziness. It ultimately causes him to fail a class that he could have passed if he had only studied. Hamartia shapes the tragic plot. Without a fatal flaw, the protagonist would continue to live a flourishing life with little to no difficulty. It is the flaw that causes his or her good fortune to shift to bad fortune, usually at the most climactic point in the plot. Furthermore, hamartia emotionally-charges the tragic narrative, instilling pity and awe in the audience. The tragic hero is imperfect and therefore relatable to the audience, as we all have flaws. The dramatic and tragic effects of the flaw may serve as a moral lesson, showing the negative effects of hamartia that is unharnessed and yields terrible results. Hamartia is often associated with tragic plays. A classic example is from William Shakespeare’s The Tragedy of Othello, the Moor of Venice. Othello’s fatal flaw is his jealousy. Fueled by Iago’s lies, Othello flies into a jealous rage and murders his wife. Having discovered that she is in truth innocent, he kills himself as well. Othello claims that he has not meant to cause so much pain, but that he has loved too much, meaning his love has caused his jealousy which has in turn driven him to extremes. And falls on th’ other. The only thing that leads Macbeth to action is overwhelming ambition which pushes him forward faster and faster, ultimately leading to his tragic end. One example of hamartia in both pop culture and history is the film Marie Antoinette in which the French queen is depicted as greedy, selfish, and self-indulgent. Marie Antoinette parties excessively, eats and drinks excessively, and buys clothes, shoes, and jewelry excessively. Such spending leads to debt, an unhappy country, and her death. 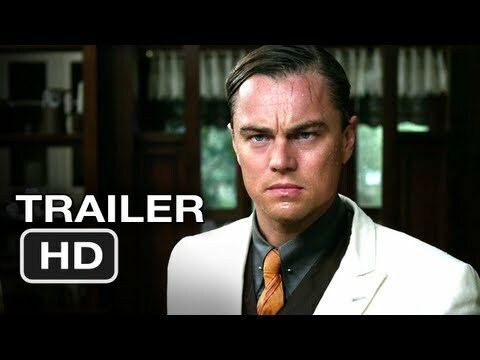 Another example of hamartia can be found in Great Gatsby, the film adaptation of F. Scott Fitzgerald’s novel. Jay Gatsby’s hamartia is his unharnessed ambition. His desire for wealth leads to corrupt business goings-on, and his desire for Daisy’s love leads to excessive partying, showmanship, and an affair. Drama from these actions leads to three tragic deaths. Hubris is defined as excessive arrogance and pride, and it is one of the most common types of hamartia. As a type of hamartia, hubris leads the protagonist to a tragic demise. Specifically, hubris often leads the protagonist to committing crimes and hurting others, due to the belief that the protagonist is above the law and more important than others. Victor Frankenstein is filled with excessive pride and drive. This arrogance leads him to create a monster. In his pride, he fails to respect the monster as a thinking, feeling creature or respect his wishes and desires, even though the monster attempts numerous times to speak to him in a civilized manner. Neglected and forsaken, the monster ruins Frankenstein’s life. It is Frankenstein’s hubris that drives him to his ultimate demise. Hamartia is the fatal flaw which causes the tragic protagonist’s life to unravel, concluding with a dramatic, pitiable, and unhappy ending. Although all characters are flawed in some way, the hamartia is the flaw that shapes the plot and creates a tragedy from a previously happy story.